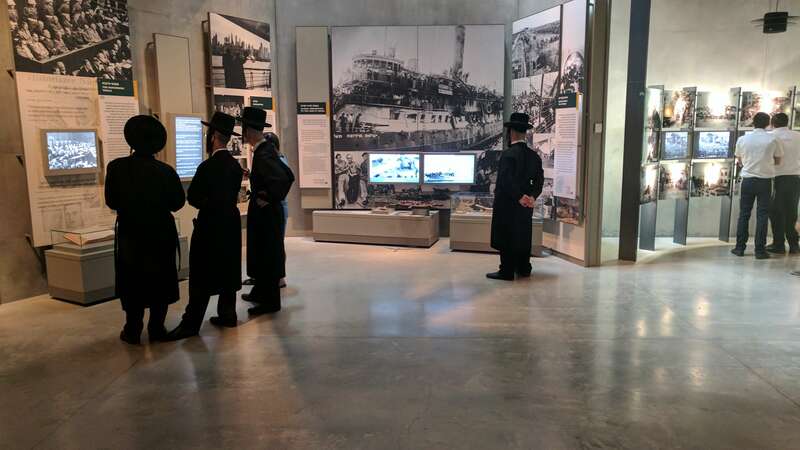 At Yad V’Shem, Israel’s primary holocaust museum in Jerusalem, I picked up a copy of “The Jews are Coming Back“, a book about the return of Jews to their countries of origin after World War II. How do you answer a person that says, “Jews should have gone back where they came from!” As an American, it’s actually hard to answer. After World War II, Jews generally found a safe place in the United States with quotas lifted (or rather, unused spots from prior years filled when the state department changed their policy). Without knowing one way or the other, it would seem that Jews could just return to their places of origin in Poland, Ukraine, Russia, and elsewhere . . . turns out this answer greatly varied by country. The book is organized by country, from most friendly to Jews to least friendly after the war. The holocaust didn’t just “end” in Europe. The flip of the switch that happened in the United States where refugees (and especially Jews) where suddenly welcomed never happened in Europe, save for perhaps France and Belgium to an extent. Unsurprisingly, France also has the largest Jewish population in Europe today though the Jews are largely leaving for Israel these days due to virulent anti-semitism in France. However, even there, shortly after holocaust, groups organized to prevent Jews from reclaiming the property they had stolen from their former neighbors. Should your country be communist after World War II then the refrain was that there should be no separate nations. We were “all the same” and just because a returning Jew had his property and rights removed from him and had nothing but barely the rags on his back, that was just the way it was. The Jewish Agency might try and send you aid, but the communist government almost always rejected same unless it went to everyone equally … which usually meant it went to aid those in power and that was that. An exception was found here and there: in Tarnipol, Poland a mayor allowed for a statue commemorating the holocaust, but he found himself overruled and without further promotions in the party for life. Should you try and return to the Ukraine, you might find pockets of help from the government – but the local officials would first strip the women bare, delouse, search, and humiliate before you boarded the train. In the countryside the government actually provided a safe house for returning Jews and jobs but the locals, the former neighbors, would protest and sometimes violently. Jews were unable to actually work and the situation was dismal. In other places older Jews who survived the concentration camps would return to roam without proper shelter or help from the anti-semetic locals. While Zionists organizations came to pay for transit for younger and able bodied youth to be found to move to Israel and start a new life, neither the elderly were left in squalor, penniless, unable to work, having everything stripped from them. Perhaps you would try to go to a different country where things were more favorable to you … many traveled to the Netherlands where things were better for Jews, but only Jews who were citizens before the war (and could prove it). Travel there, or to many other European countries, and you were treated as an “enemy combatant” no different than an ordinary German. You might find yourself in jail if you were unlucky, or “free” but without rights to do much of anything. There was no light at the end of the tunnel for many. Surviving the holocaust didn’t mean being able to rebuild you life. The stories we here and the movies we see are almost always about the 1/6 who survived. They were the exception to the rule. We want to hear the stories of the exception who made it, and by in large that’s where we find stories of heroism and those who rose above the horror, but even being the 1/6 to survive did not mean recovery. My wife’s great-grandmother survived Bergen-Belsen to die of a tuberculosis epidemic after “liberation”. 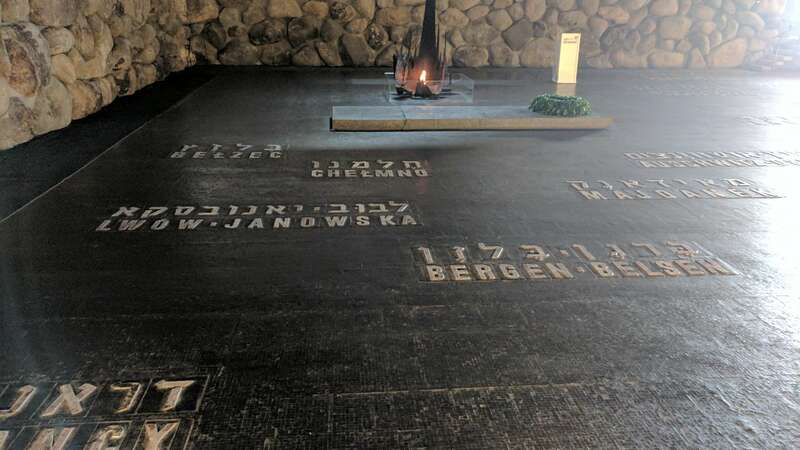 In researching my own family records at Yad Vashem, I found a cousin of my great-grandmother who made it to Jerusalem to testify about my great-grandmothers family – they were almost all killed in Belzec. My great-grandmother, Sheindel (Jenny) Silberman, the oldest of a dozen plus children had left for New York earlier, at the age of 12, to avoid being raped by the Kozacs … they saved her life and mine in a twisted way. One sister made it to Brazil, another to Toronto after hiding in convent. Other cousins made it to Israel. There’s a reason they didn’t find their homes in Europe – Hashem [G_d’s] plan, it seems, was not for Jews to remain in any large numbers in eastern Europe any longer. 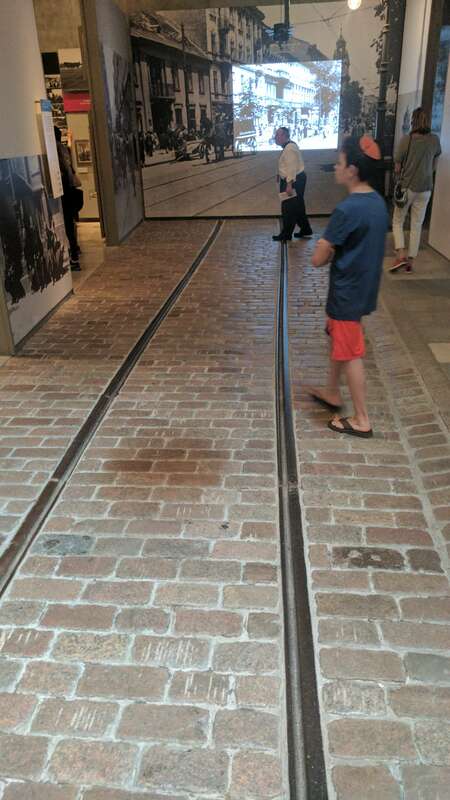 My first time back to Yad Vashem was last summer on the insistence of my teenage son. I had my fill of Holocaust museums earlier in my life, but the museum is well made and well thought out. It chronicles the history of the Holocaust as you move back and forth from room to room, crossing through a long narrow corridor designed after corridors such as that which my great-great grandparents went through stripped bare on the way to the gas chamber in Belzec where they were told to breathe deeply. 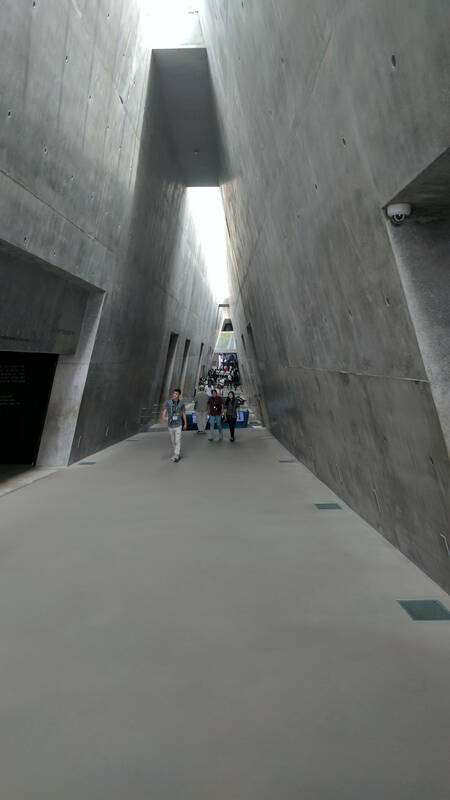 At the end, in Yad Vashem at least … when you finally make it, after what took us hours of passing through “highlights” and stories of 12 years of hell in Europe, one reaches an actual light at the end of the tunnel. It’s a balcony overlooking the hills of Jerusalem. In the distance is a physically rebuilt Jerusalem, bigger than it every was. Now we wait for the ongoing spiritual rebuilding to be completed. 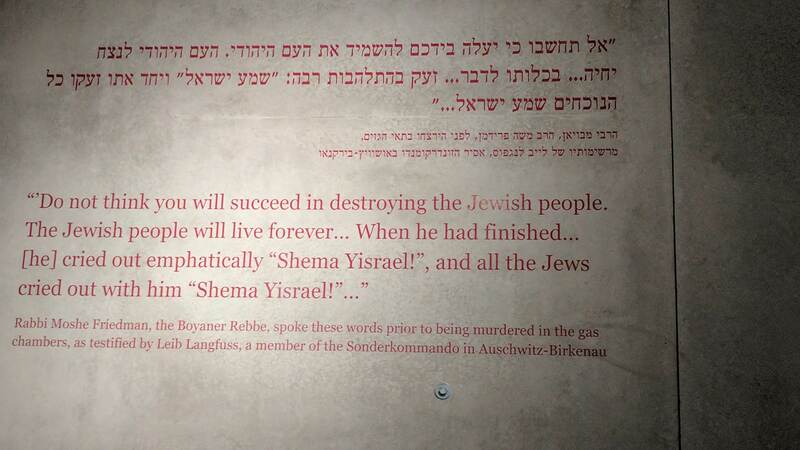 On a wall in Yad V’Shem – Truth.